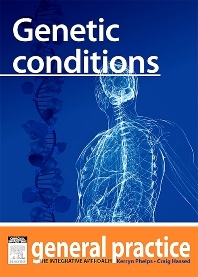 Genetic Conditions - General Practice: The Integrative Approach. Genetic conditions are those that are directly or indirectly due to a pathogenic variation in a person’s genome that is present at birth. The variant may be inherited from a parent, or occur for the fi rst time in the family in that person in the production of the egg or sperm or at conception (spontaneous mutation or chromosomal change). This chapter covers Epigenetics, Genetic counselling and genetic services, Genetic testing, Chromosomal conditions, Single gene conditions and Inherited genetic susceptibility.